Authorities arrested the alleged leader of the Dragons Group and co-founder of the Parojinog-Kuratong Baleleng Group. Nabbed was suspect Manuelito Francisco alias Lapad or Maning in La Union on the strength of an arrest warrant, Chief Inspector Jovie Espenido, chief of Ozamiz City Police, said. 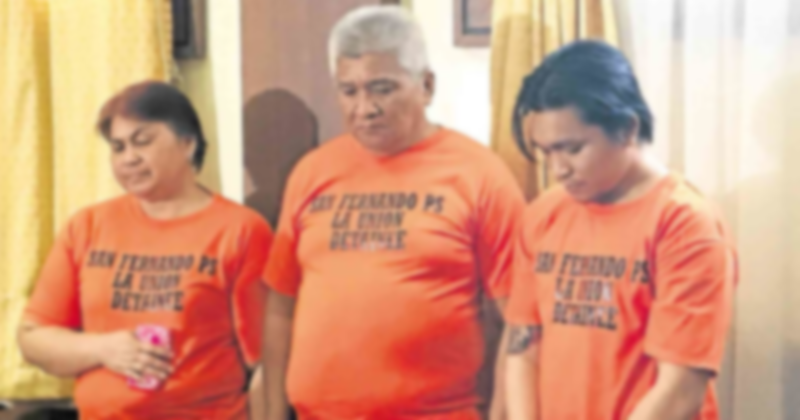 Also arrested were Francisco's wife Rizalina who is the aunt of former Ozamiz City Mayor Reynaldo Parojinog Sr. and their children.